The Sunrisers Hyderabad are possibly the most underrated team in the Indian Premier League and this helped them win the title in 2016 and reach the finals in 2018. Skipper Kane Williamson has been magnificent in leading the team from the front along with effective and smart team selections. They definitely missed David Warner last season, but that didn’t affect their overall team performance. Their star opening batsman in the previous seasons, Shikhar Dhawan, has been traded to the Delhi Capitals, which meant they were required to buy an effective opener in the auction. The Sunrisers Hyderabad, as expected, bought two brilliant overseas replacements for Shikhar Dhawan in the auction – Jonny Bairstow and Martin Guptill. They can turn out to be highly effective at the top of the order and can possibly lead SRH to great starts in run chases. The issue with Sunrisers has always been their batting, In order to prosper, their batting unit will have a big role to play. 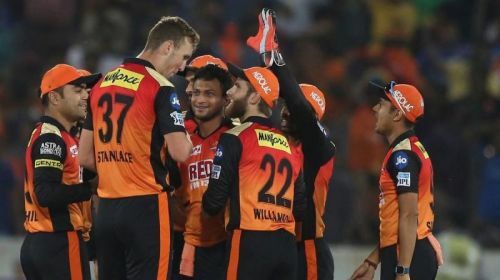 IPL 2019: Who should captain Sunrisers Hyderabad?